The entire team and I welcome you to the Berry region! Whether you are traveling alone, as a couple or with family, enjoy our quiet, spacious rooms and recently renovated bathrooms. Looking for even more facilities and comfort? Choose our Executive Rooms. High-quality double glazing guarantees you a peaceful night. Room service, free WIFI, soft duvets, minibar, kettle with a selection of hot drinks, safe, shower/bathtub, separate toilet. Simple, generous, regional cuisine. Come and enjoy good times in our restaurant or on our terrace at the edge of our swimming pool. Various shows will be offered throughout the year as well as our BBQ lunch during the summer season. 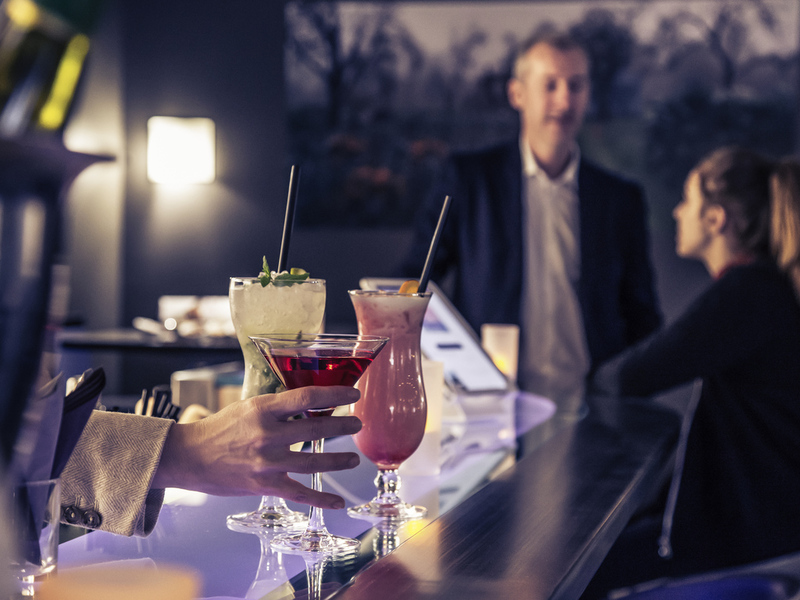 At the heart of the hotel, our bar is a perfect meeting place for working or relaxing. An assortment of alcoholic and non-alcoholic hot and cold drinks, tapas and even a foosball table await you!